A VISIT TO THE DOCTOR’S OFFICE can be a scary experience. If overcoming the nerve-racking moment of getting an initial diagnosis wasn’t enough, there comes a second diagnosis—a financial one—in the form of a neatly-folded, big, fat medical bill. After all, medical bills might sometimes be just as terrifying as your ailment, especially if you lack health insurance or have high co-payments or deductibles. In fact, for many families, the prospect of facing hefty medical bills often gets in the way of receiving the treatment they need. The good news is that patients can actually bargain down their medical bills. Just as insurance companies negotiate prices with healthcare providers as a matter of course, you, as a patient, can also cut a deal with your doctor. How’s that? Most providers have a standard fee for their services. This standard fee is frequently called the “billed amount.” Insurance companies negotiate with providers to pay a fee that is often significantly lower than the billed amount. This is normally called the “allowed amount” or “fair market price,” which means the amount you are originally billed isn’t always the amount you absolutely must pay. 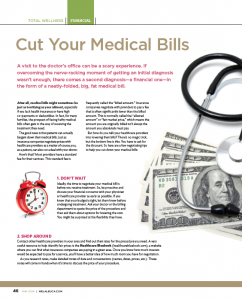 Ideally, the time to negotiate your medical bill is before you receive treatment. So, be proactive and discuss your financial concerns with your physician or healthcare provider as early as possible. If you know that your budget is tight, let them know before undergoing treatment. Ask your doctor or the billing department to quote the price of the procedure and then ask them about options for lowering the cost. You might be surprised at the flexibility they have. Contact other healthcare providers in your area and find out their rates for the procedure you need. A very useful resource to help identify fair prices is the Healthcare Bluebook (healthcarebluebook.com), a website where you can find what insurance companies are paying in a given area. Once you know how much insurers would be expected to pay for a service, you’ll have a better idea of how much room you have for negotiation. As you research rates, make detailed notes of data and conversations (names, dates, prices, etc.). These notes will come in handy when it’s time to discuss the price of your procedure. When you contact your healthcare provider’s billing department, make sure you talk to the person who will ultimately make the billing decision (don’t waste energy and time pleading your case with the receptionist). As with most things in life, being polite will get you the best results. Inquire about options for lowering the cost of the procedure and explain your current financial situation, since an important part of negotiating medical bills is invoking empathy and understanding. The most important thing to remember is that asking for a discount is perfectly okay. So don’t be afraid to ask. If the bill has already arrived, follow the advice in steps 2 and 3: Research prices and options, and contact the billing department to request a discount. Another thing you can and must do is check the bill’s accuracy. Double billing is common, so scrutinize the bill for errors. Never pay a bill without carefully reviewing it first. Also keep in mind that cash is king. 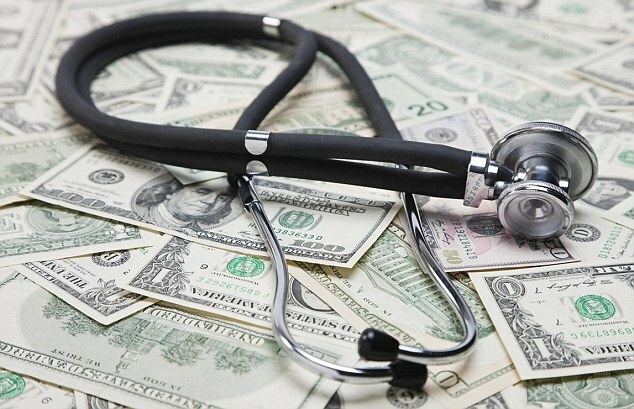 According to medical billing professionals, you might be able to reduce a bill by a significant percentage if you offer to pay right away by cash or check. Often, providers prefer accepting a reduced amount quickly rather than waiting for the full payment or sending the bill to collections. If you succeed in lowering your bill, request a revised bill that lists the change in price. That will be your proof that your bill has been reduced. There are times when, no matter how good your negotiating skills might be, there’s nothing you can do to reduce the price of your bill. On these unfortunate occasions, if you find you can’t afford the bill, ask for a payment plan. Discuss what you can realistically afford to pay, and never agree to terms that are above your means. Once you have an agreement and start making your payments on schedule, you’ll be on your way to paying off your bills and enjoying greater peace of mind. Whether you have health insurance or are uninsured, you should pay a fair price for medical services. The tips above will help you ease the financial burden of medical visits so you can focus on the things that matter most: your health and your family’s wellness.